Thank you! 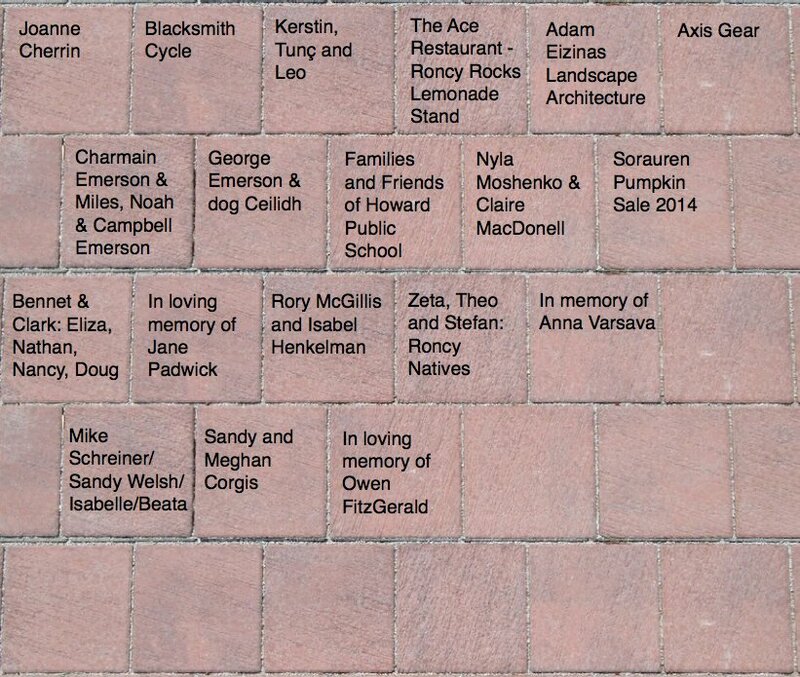 These generous donors have given to Phase 2 of the Sorauren Town Square project (listed below). All have contributed $100 or more to the campaign. Phase 2 fundraising has begun with the completion of Phase 1 construction on July 7, 2014. To put your name, family name, business name or organization name on this Phase 2 donor wall, click here. All donations over $100 will be recognized on the virtual donor wall and a permanent donor wall to be erected at the Square. And you’ll receive a charitable tax receipt thanks to our collaboration with the Toronto Parks and Trees Foundation. Your donation leverages more funding from other sources. Help us expand, beautify and furnish Sorauren Park and the Town Square! For any errors on the donor wall, please contact us.